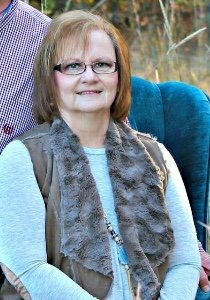 Virginia “Diane” Putt Brewer, 64 of Clarendon passed away peacefully on April 20, 2018. She was born November 25, 1953 to the late Cecil and Ola Phillips Putt of Hazen. She was a devoted mother and Nana. 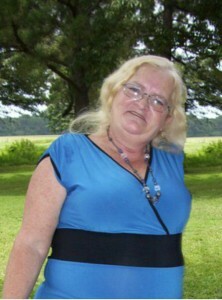 Diane is survived by her sons, Steven West, Scotty Brewer (Kelly) and Stephanie Brewer (Ronald Maier) all of Clarendon; grandsons, Hunter West, Zachary Maier and granddaughter’s Courtney West, Molly Goss (Jonathon Riley), Madison Brewer, Chloe Brewer, and Charlie Brewer; great-grandson, Camden Brewer; brothers, Ronald Putt of Lonoke and Dale Putt of Hazen ;sisters, Rita Vaughn of Lonoke, and Bertha Ann Putt of Carlisle; sister-in-law, Francine Putt of Carlisle and a host of aunts, uncles, nieces, and nephews. Diane was preceded in death by her father and mother, Cecil and Ola Phillips Putt; brothers, David Putt and Bo Putt and sister, Lyvonne Tucker. Visitation will be from 5:00 to 7:00 P.M., Monday, April 23, 2018 at Westbrook Funeral Home in Hazen. There will be a private burial at a later date. 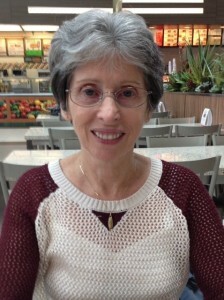 Karen Annette Williams Smith, 63 of Biscoe, entered the presence of her Lord and Savior on April 8, 2018. She was the daughter of W.L. (Bud) and Faye Williams. Karen was a farmer’s wife, a homemaker, and a member of the Biscoe First Assembly of God Church. She graduated from De Valls Bluff High School where she and her husband served as homecoming king and queen. Karen gave her life to serving others. Her love of Jesus Christ and her study of his word was an example to many. Karen taught Sunday School, served as secretary and treasurer at her church, volunteered in the church nursery, as well as help celebrate the weddings and baby showers of many friends, family and church members. Those left to cherish her memories are her husband of 44 years, Kent; her children, Brandon and wife, Amy, and Heather and husband, Charlie Brown. Known best as “Nana” to her four grandchildren, Jenna, Hayden, Preslee and Bowen Brown. She deeply loved and adored them all and dedicated her life to them. Karen was a “second mom and nana” to many and leaves a large loving family. Karen was preceded in death by both of her parents, her brother, Larry and grandparents, Bob and Emma Coulson and Neely and Irene Williams. Visitation will be from 6:00 to 8:00 P.M. at the Biscoe Assembly of God Church on Wednesday, April 11. Funeral services will be 2:00 P.M., Thursday, April 12 at the Gospel Mission Church in Des Arc. Interment will be in the Biscoe cemetery. Martha Ann Todd, of Mabelvale, Arkansas, died on Monday, April 2, 2018 at Saline County Hospital. She was 80. Martha was born on July 14, 1937 in Glenmora, Louisiana. She attended De Valls Bluff High School and Draughon’s School of Business in Little Rock, Arkansas. In 1957, she married Alvin L. Todd, Jr. and together they had two children, Suzanne and Scott. Martha dedicated herself to making people happy and her family. A unique soul, Martha was very generous and enjoyed her family, friends, and class reunions. She will be greatly missed. Martha is survived by her sister, Glenda Tefteller of Brinkley; son, Scott Todd, daughter-in-law, Karla Todd; grandson, Logan Todd of Bryant, Arkansas and granddaughter, Amber Maison of Mablevale. Martha was predeceased by her husband, Alvin Todd, daughter, Suzanne (Todd) Yelich and sister, Susan Alford of McRae, Arkansas. 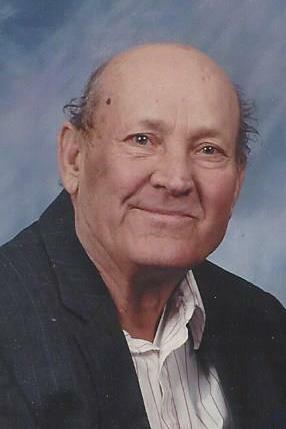 James F. Baxter, 87 of Biscoe, passed peacefully from this life on April 4, 2018 at Chambers Nursing and Rehabilitation center in Carlisle. He was born April 27, 1930 in the Brown Grove Area to Sherman and Sena Ingle Baxter and spent his life farming in the Biscoe Community. He was a devoted member of the First Baptist Church of Biscoe and loved spending his days fishing, gardening, listening to gospel music and driving every chance he got. He was preceded in death by his wife of 66 years, Viola (Chesser) and brother, Johnny Baxter. James is survived by sons, Jimmy and Timmy (Vicky), of Biscoe; daughter, Tammy (Tom) of Falling Waters, West Virginia; grandsons, James Baxter (Megan), Daniel Baxter (Tiffany), Kevin Baxter, Justin Roush (Sarah) all of Biscoe; grandson, Michael Baxter and granddaughter, Amanda Kirby (Michael) of Des Arc; brother, Doyle Baxter (Dorothy) of Des Arc and sister, Ella Montgomery of Dumas; 15 great grandchildren and countless cousins and friends. Visitation will be 6:00 to 8:00 P.M., Friday, April 6 at Westbrook Funeral Home in Hazen. Services will be Saturday at 2:00 P.M. at the First Baptist Church of Biscoe.